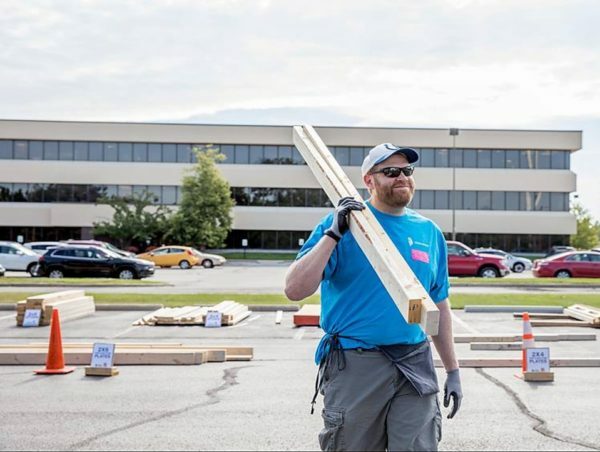 Two shifts of employees worked together on the morning of July 26 to make our second Panel Build for the Greater Indy Habitat for Humanity in our corporate headquarters parking lot a house-raising success. We framed a three-bedroom house in under four hours for Mansa Samlafo and her 2-year-old daughter, Dromo. 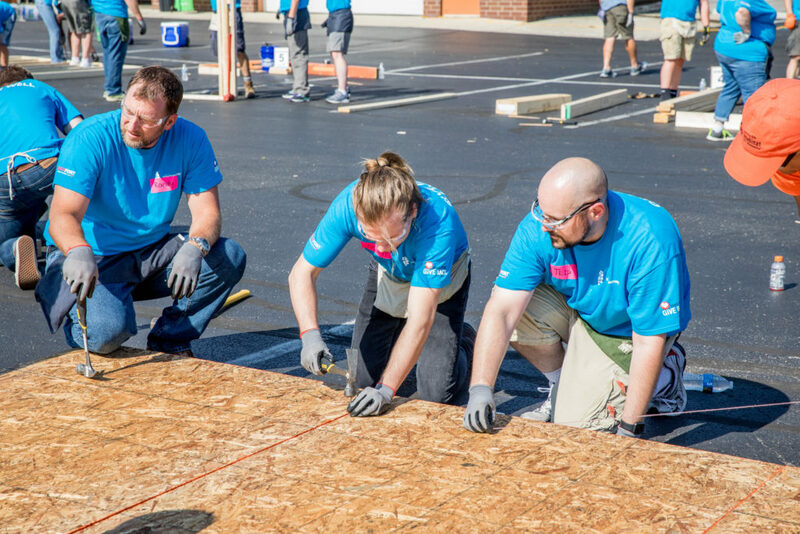 Mansa was here to help because all Habit homeowners are required to put in approximately 300 hours of sweat equity on their future home. 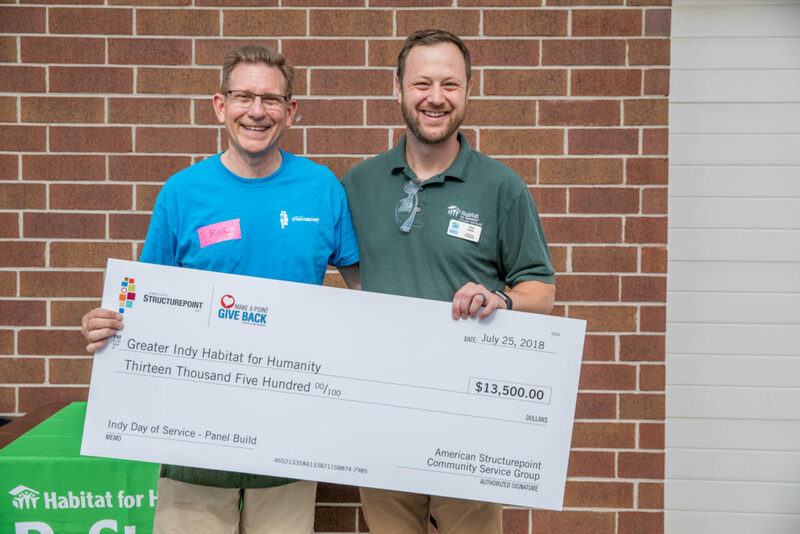 Company President Rick Conner also presented Habitat for Humanity officials with a check for $13,500 that they can use for education programs. The second phase of the home’s construction continues at the Indiana State Fair through August 19 so that thousands of Hoosiers can see the finished product. Mansa and Dromo will move into their new home by Thanksgiving. 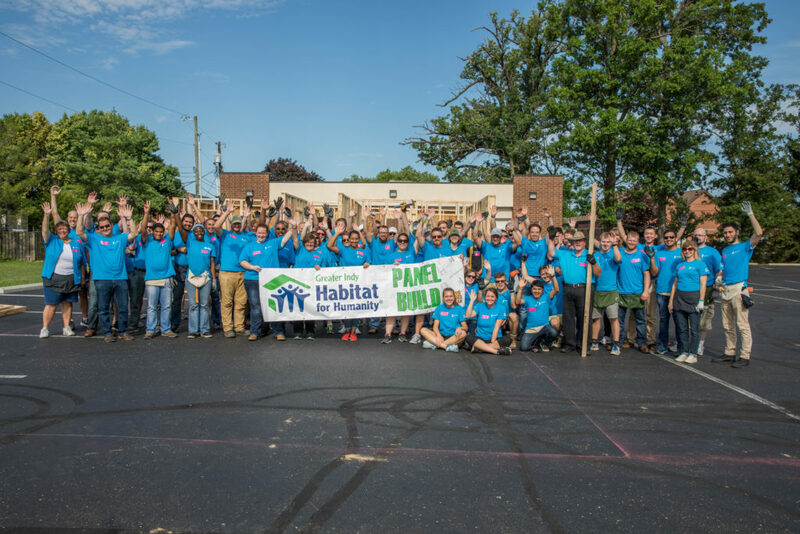 Thanks to all our volunteers who joined to make Mansa’s dream of home ownership a reality!